Published April 26, 2015 at 194 × 300 in Exodus_Lost-BY-S-C-COMTON. Available via Amazon- Kindle and leading bookstores. S.C. Compton takes you on a voyage of discovery covering ancient cultures around the world. Well researched and penned with great style and craft making it a pleasure to read from cover to cover. 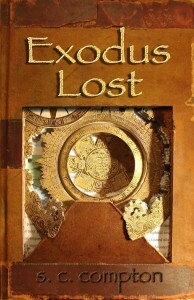 Exodus lost is an in-depth look at the major powers and cultures of the ancient world.